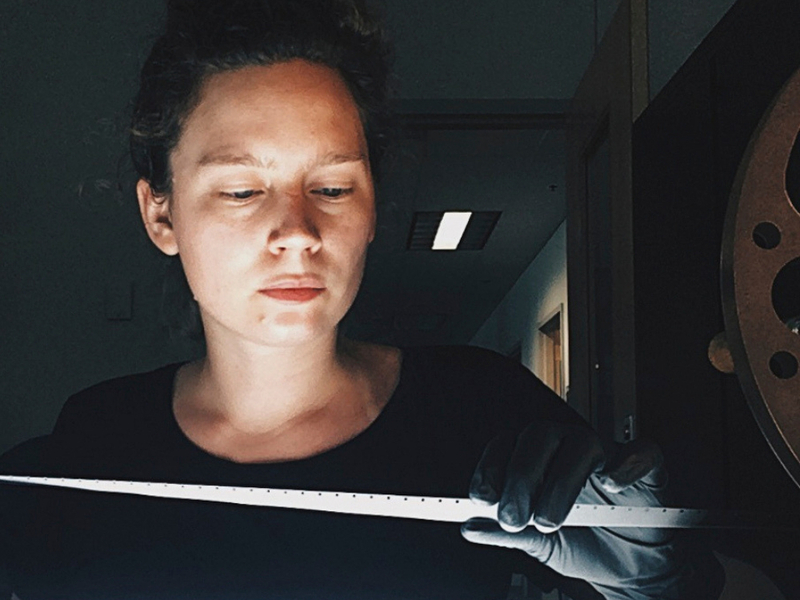 This second post of a two part series is contributed by Valeria Dávila Gronros, a digitization technician at the Digital Production Unit of the Oregon State University Special Collections & Archives Research Center. She is an Argentinean photographer, filmmaker, digital films restorer, and a recent graduate with a BA in Cinema Studies from the Universidad del Cine of Buenos Aires. Every year on October 27th, archives worldwide join together to celebrate the World Day for Audiovisual Heritage, with activities not only raising awareness of the importance of audiovisual archives and the vulnerability of this heritage, but also acknowledging the work of the heritage institutions that protect it. Honoring this cause, with this year’s theme “Your Story Is Moving”, we join this wave by sharing the second part of the “In Our Care” KOAC-TV films preservation project. Inspecting a film on the rewinder. 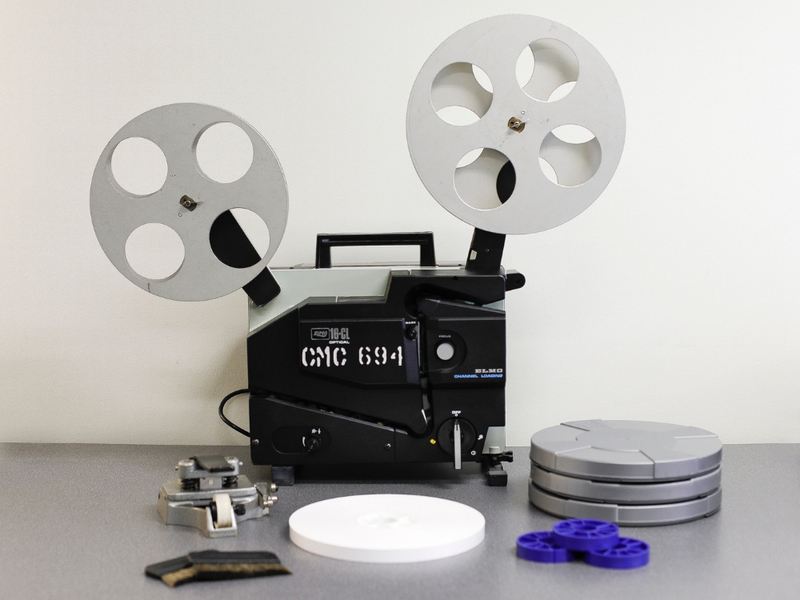 In the previous blog post about the first part of this project, I explained the films inspection process and findings, and announced the upcoming instance which comprised the cleaning, repairing, and rehousing of the films. Now I completed this last instance, I will share the process below. Having a 16mm film projector at the Library, I used it to automatically rewind each of 35 films. This allowed me to dry-clean the films (as shown below, with two faced anti-static brushes) while they were rewinding. Cleaning a film while rewinding. The films stored on projection reels were properly transferred to cores also at this point. This way I made sure to have all the films on cores, starting at the beginning, and winded up with the film base side up thus protecting the emulsion. A film originally stored on a projection reel, transferred to a core. After I had the films cleaned and rewound, I removed old tape residues, repaired broken perforations, and replaced old splices for new ones using the splicer. At this point, I also added blank leader at the head and/or tail of all films that were lacking it, for their protection, and replaced leaders showing decay signs for new ones in order to prevent any damage or contamination on the films. During this process, I transferred all information written on the old leaders to the new ones. Yellowed leader, affected by oxide residues, vs. a new one; the attachment of the new leader to the film with the splicer. Some films were loosely wound up, and showed signs of “spoking”, a particular curl caused by the storage environment relative humidity and by acetate base decay; besides keeping from now on better control of the relative humidity conditions, in order to prevent further deformation of those films over time, I tightened them up firmly once rewound. A film reel showing signs of “spoking”; the same film reel once transferred to a core and tightly wound up. Finally, I rehoused the films from the metal cans, some severely rusty, to the vented, polypropylene ones. I made sure to house one film per can and into cans according to each of the films sizes. Also, of transferring to the new cans all documents stored with them in the original cans. Some original metal cans piled up; the same pile of films once rehoused to polypropylene cans. Having more cans than before, and available space in the storage facility, I added one more box to the equation in order to have all films stored horizontally inside them, as it is recommended. Like did while inspecting the films, I documented my findings throughout the entire process on a spreadsheet in the cloud. I also made photographic records, including the ones I am using in this article. 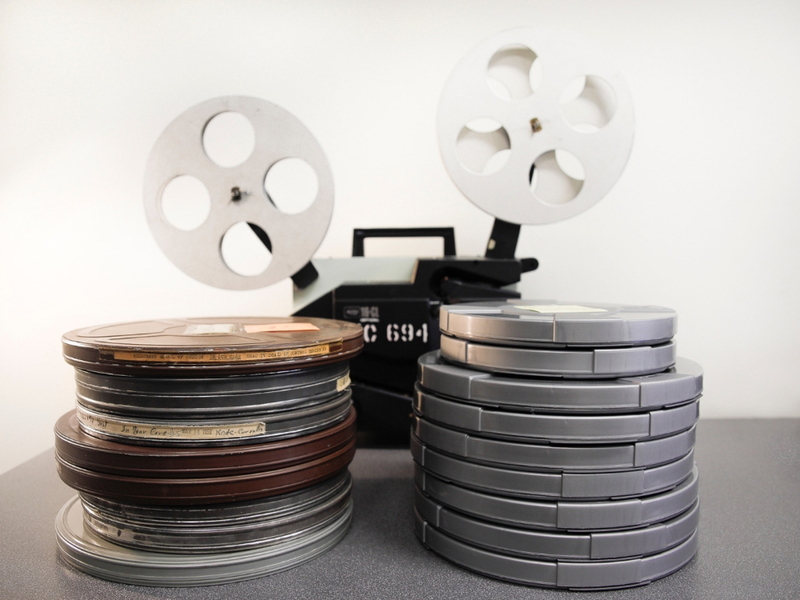 For more information on audiovisual preservation please refer to UNESCO’s “Recommendation for the Safeguarding and Preservation of Moving Images”, available in English, Spanish, and French. This entry was posted in Main Page on October 29, 2018 by dvoraka.